The “Rail Business Report Scandinavia” is the only study in the market which offers the reader a detailed analysis of the existing market structure on the level of market segments, market functions and company sizes. The “Rail Business Report Scandinavia” is the only study in the market which offers the reader a detailed analysis of the existing market structure on the level of market segments, market functions and company sizes. This study offers an explicit statement on the dimensions and the structure of the Scandinavian railway industry market. The existing market players are manufacturers and suppliers in the rail infrastructure and rail vehicles industry, command and signaling technology and engineering services providers, and also infrastructure operators and transport companies who are active in the market. The study will serve an important information source for existing and potential market players in the Scandinavian railway market and helps to adjust the strategic orientation of their own companies. As the study provides prognoses regarding the sales trends and the market attractiveness development for the Scandinavian railway industry, the interested reader is already now well-prepared to address the challenges of tomorrow and seize the related opportunities. 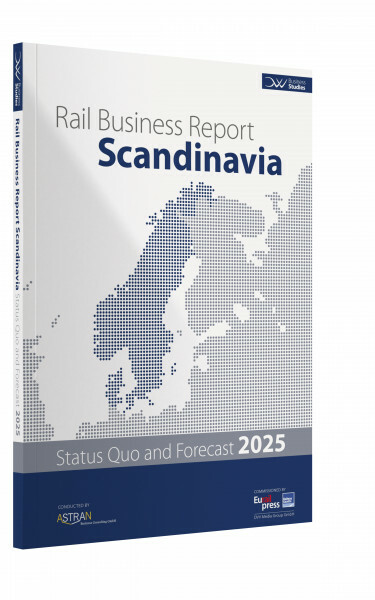 The Rail Business Report Scandinavia will be send to you as personalised PDF. To read the secured PDF file you have to install a PlugIn. You are allowed to open the PDF on three different PCs but you can only print it once. Please notice: The price is EUR 1518.69 + 19% V.A.T. If you are from an EU member state (excluding Germany) and you would like to be V.A.T. exempted please send us your V.A.T. number by email to service [at] eurailpress.de or use the "comments" field on the online order form.